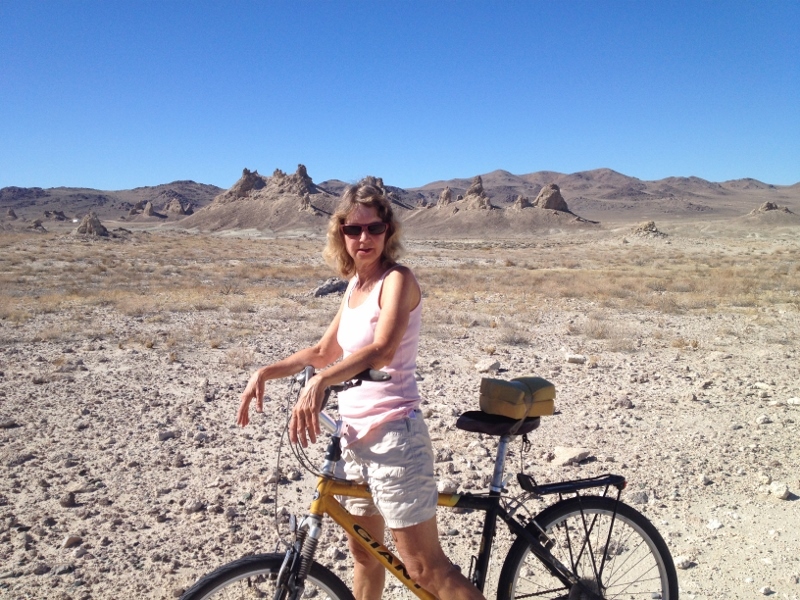 Biking all around Trona Pinnacles today and just relaxing. 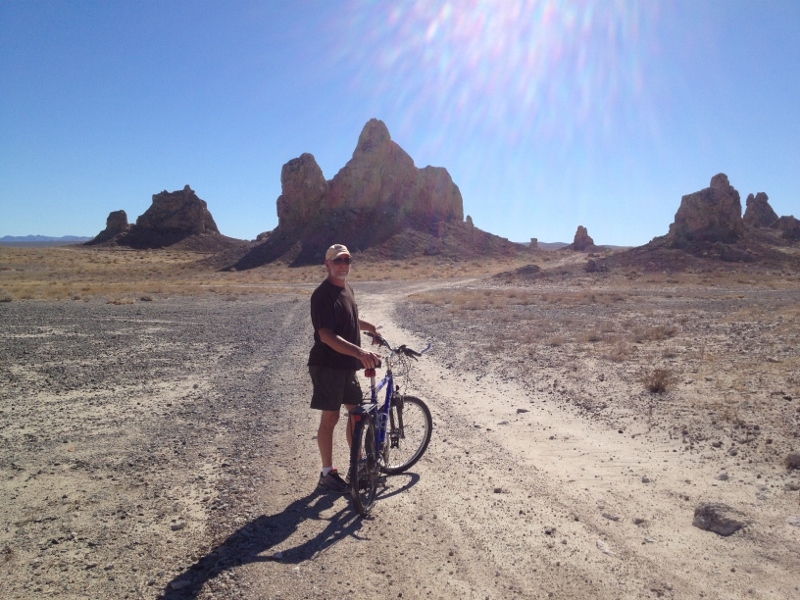 My new bike tires are designed for road travel and not for sandy gravel. I almost wiped out about 5 times. It was 81 degrees today and that was a nice change from the cold up near Bridgeport/Mammoth areas…still cool enough for sleeping at night. I promised David we would stay here for two nights so that it is. 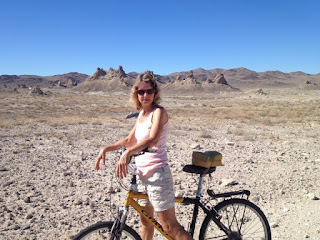 We saw and heard a few vehicles today (a few cars, atv’s, etc) but they are gone now so it is quiet. They kept their distance and it wasn’t bad when they were here. The distant factory has stopped production so no there is no periodic thud noises (which were just a sound in the distance). HOT in the sun. 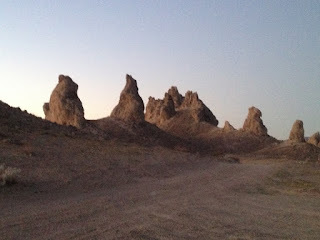 By the end of the day, people came and went to visit the Pinnacles and roughly maybe 3 or 4 people came to spend the night (no rv’s). The last car that came in at dusk was the problem. 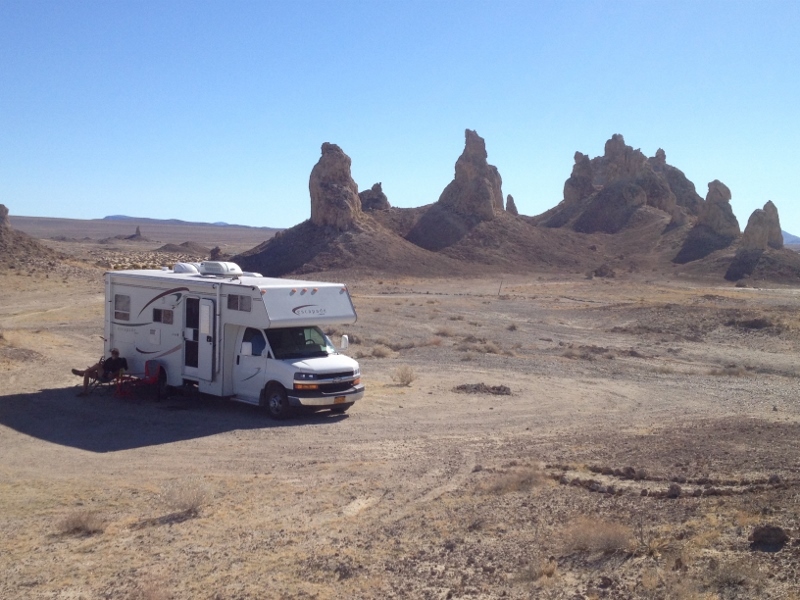 Out of the miles of places he could have selected to camp for the night, he chose to park about 200 yards from us. He had a jeep and could have gone WAY in back and had the place to himself. David was unhappy. Day 51 & 52: Too much driving!